The Roland FP-10 digital piano gives you excellent performance with high-end features at a very attractive price. Incredible Performance, Af.. The Roland FP-10 digital piano gives you excellent performance with high-end features at a very attractive price. 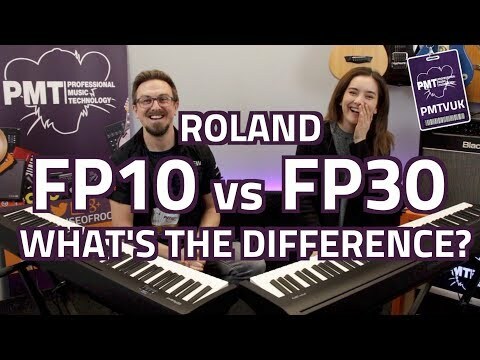 Despite being the entry-level model for Roland’s acclaimed FP piano series, the Roland FP-10 gives you incredible performance with some great, high-end features. 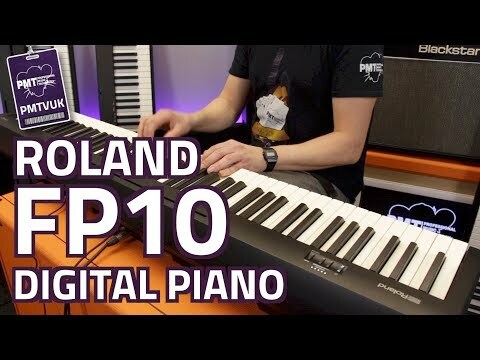 With its PHA-4 standard keyboard, SuperNATURAL piano tones, Bluetooth connectivity and streamlined compact design, the Roland FP-10 is the ideal digital piano for beginners and veterans alike. All these great features and more at such a low price is incredible. Expression is at the core of piano performance. Knowing this, Roland have equipped the FP-10 digital piano with a PHA-4 Standard keyboard. Whether you’re playing hard or soft, fast or slow, every nuance of your performance and little touch of your playing is captured. This is because of Roland’s touch-detection technology, high-resolution sensing and escapement for fast key repetition. The white key themselves are made with revolutionary moisture-absorbing materials which offers an incredibly realistic recreation of real ivory. You can also connect a separately available pedal to add expressive pedalling techniques to your performance such as half-pedalling. Incorporating Roland’s hugely popular SuperNATURAL sound engine, the FP-10 digital piano is able to deliver beautifully authentic piano tone that is rich and expressive. Ideal for beginners who need to hear the detail or experienced players who demand rich, articulate sound and detailed response. You can enjoy the sounds of the piano through the FP-10’s built-in powerful speakers or plug in a set of headphones for private practice. Roland have designed the FP-10 digital piano to make playing the piano and learning sessions fun and productive. You will find a number of onboard voices to choose from including organ, electric pianos and strings, so you can perform music of virtually any genre. The Roland FP-10’s built-in metronome is an excellent tool for working on your timing. What’s more, using Twin Piano mode, you can split the keyboard into two so that the teacher and student can sit side by side and play in the same key range. 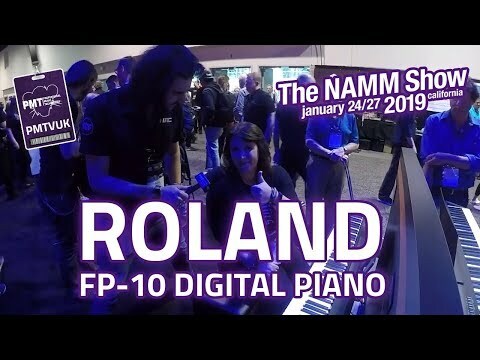 Another great feature is the Roland FP-10’s Bluetooth and MIDI connectivity which allows you to connect the digital piano to a number of Digital Audio Workstations (DAW) and apps such as Apple GarageBand and Roland’s Piano Partner 2. Of course, you’d like a full-size 88-key piano in your home, but who has the space? That’s why you want a Roland FP-10. With its 1284mm by 258mm dimensions, you’ll find somewhere to place this digital piano in just about any living space. Plus, it’s extremely portable too so you can easily move it around if needs be. Buy the Roland FP-10 from Professional Music Technology today and enjoy an authentic piano experience from an affordable and extremely compact digital piano.